Anton Krupicka Interview – the rise of the Euros, US running culture, and 100 milers | run, eat, sleep, run. Well, the weekend of Reckoning is approaching. Just want to finish getting my drop bags together and hit the Great North Walk with all lessons learned and physical conditioning on board. Writing for Outer Edge, I had a chance to interview Anton Krupicka a few months ago when putting together this article, Dirty Foreign Adventures. He was incredibly generous with his insights and the depth and fascination which he brings to any discussion of running is abundantly clear here. So, as a very pleasant distraction from all the talk about heat, blisters, and niggles, here is the full transcript with one of trail running’s greatest living champions and ambassadors, New Balance athlete Anton Krupicka. RH: I guess firstly, do you think that there is a particularly US trail running culture best exemplified by particular events, or are there distinct pockets of different philosphies across the country that perhaps have more to do with the mainstream/alternative cultures they’re near to or the geography they’re bounded by? e.g. are mountain runners going to mountain events and hanging with other mountain runners, or are eco-village founders from California teaming up with macrobiotic race directors from Seattle, or is it one big happy family of trailrunning regardless of flavour and background. AK: Trail running culture in the US is needlessly segregated, in my opinion. There is very very little overlap between what are termed “mountain runners”–meaning usually 1hr or less races that are often uphill-only in nature (but are also up/down)–and “ultra runners”, who, of course, run primarily 50K, 50mi, and 100mi races. It is my personal belief that running in the mountains is running in the mountains and that there should be much more crossover between the runners who do these events. 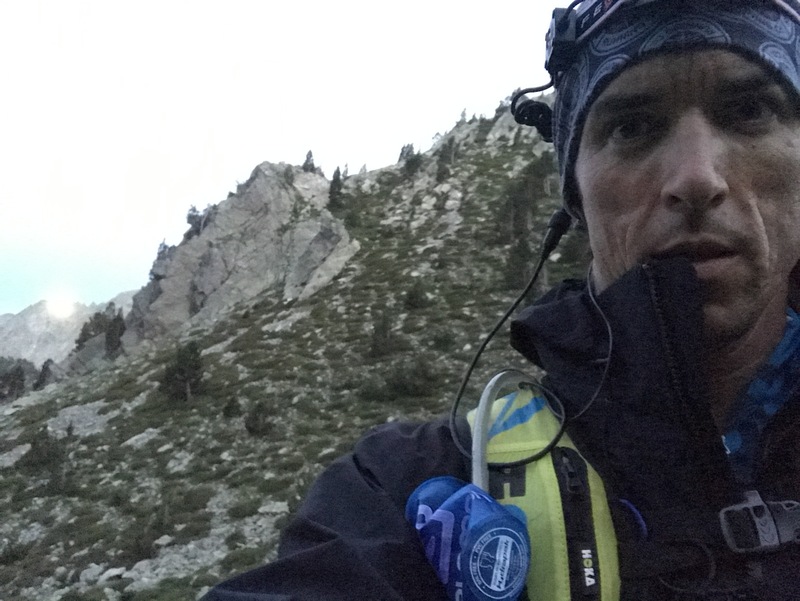 I may seem like a hypocrite as I pretty much only do the ultras, but that is something I hope to change in the coming years–I’d like to enter more 1hr-4hr mountain races given that I am inspired by the course. A good friend of mine–Rickey Gates–ran his first ultra this year (Canadian Death Race 125K) and he’s had immense success at the more traditional “mountain running” (1-2hr races) and we’ve talked about how we’d like to see more people doing both lengths of races instead of the two groups being so segregated. Having said all that, there is absolutely a very tight community of ultra trail runners in this country, I believe, and a big part of racing is having that occasion to get together and hang out with your tribe at different events all around the country. I will say, though, there is definitely an enormous bias towards the American Mountain West and the West Coast when it comes to ultra runners here. There are (obviously) definitely trail runners in the Midwest and the East, but it seems to be a slightly different culture over there and there is sometimes a sense of “East v. West” rivalry. Hands down, though, the country’s best ultra runners come from the West. The best “mountain runners” are in New England and Colorado, so it is interesting how New England has that pocket niche. When it comes to overall depth of competition and participation, though, the West definitely wins. RH: Culturally it’s certainly seemed a significant year for US trail running with European runners storming Hard Rock and the hallowed Western States. We got a taste of that with Team Salomon coming down here in May and generally being impressive, but I’m still not sure if they were seen as runners from a brand (Salomon versus North Face) or runners from different countries. The US, though, has perhaps a deeper sense of identity and trail running heritage – was there/is there a sense of being intruded upon, that some US dominance of the sport has been taken away and needs restoring, or was there a sense that ‘wow, what are these Europeans doing that’s different to come over and run like this?’? Your 2010 race with Geoff and Kilian is legendary and you surely have a special insight on this question. In a sense, what was 2011 ‘The Year Of…’ for US trail, and what’s 2012 likely to be as a result? AK: Although I think few people would admit it publicly, there is at least a small sense of “damn, the Salomon Euros are coming over here and beating us handily at our own game–can’t let that happen anymore!”. I would say Heras winning the TNF50 Championships in San Francisco last December was the first step of that. I think Ryan Sandes has an excellent chance at winning Leadville. I hope it is kind of a wake-up call for the top runners and the outdoor companies that if we want to remain competitive we’re going to have train harder, more systematically, recruit runners earlier, and all of that requires some measure of support from the outdoor/running industry. I think the guys at the top of the sport–myself included–very very much welcome the more international flavor that Salomon has brought to some of the more prestigious races over here and I hope that it fosters a respect and a greater sense of where we need to be as competitors on the global stage. It’s easy to do well against only North American competition and think you’re at the top of the game even when the sport of mountain running is so revered and has such popular support over in Europe. I think it’s healthy to witness a group of athletes who are receiving significant corporate support and to see that there is a rise to the next level that needs to be achieved. Bottom line, the corporate/mainstream support for endurance sports–especially mountain racing–in the US is very very little. It’s increasing, but I don’t think it will ever be on the level of what is seen in Europe, unless a company like The North Face (or even Salomon) chooses a top athlete that they want to promote and advertise the way that TNF did with, say, Dean Karnazes, or the way that Salomon is currently doing with Kilian. If a company picked an athlete to truly turn into a hero like that in America, it would go a long way towards consumer interest and support I think. I understand that Salomon is a European company, but it has always baffled me a bit that they don’t have similar support for North American runners/races as they do for other international athletes. Personally, I absolutely love the enthusiasm and fervor for our sport that the Euros bring and I think lots of North American runners would do well to look and see what the Euros are doing–very technical, very steep races–and emulate because I think that basic mountain culture–being at home in the mountains, comfortable on that terrain–is what breeds success and enjoyment in the sport. Racing the 2010 Western States is still one of my most cherished events in my short mountain racing career and that was because I had thrilling competition all day long with Geoff and Kilian. If Kilian hadn’t been there it would’ve been a much different dynamic. A decent contingent of North American runners have gone over to Europe for Sierre-Zinal and UTMB this year and I hope to do the same in the coming years, so the notion that Euros know what they are doing is gaining traction, except that I think there are all kinds of great races over there that the US public needs to become educated about: Trans Grancanaria, Transvulcania, Zegama Marathon, Three Peaks Race in the UK, Giir di Mont, Diagonal de Fous Reunion, etc., etc. I hope to run all of these some day, and soon, and hopefully that will continue to motivate more North American interest in that whole scene. RH: Europe certainly seems to be breaking trailrunning down into different elements with a lot of different race formats – uphills, virtual freestyle point-to-point running, small groups of competitors racing downhill in what seems like slalom for runners, and of course the bigger staples like UTMB. Is the sport in America experiencing the same phenomenal growth in interest that seems to be a global occurrence over the last year or two and what direction would you say it’s heading? Longer stunt races like Badwater, more Grand Slam type events, multi-day stage races, sharper faster pointy ends, larger intakes – what’s the vibe? Where do you think it’s all going in the US and perhaps even globally? AK: The sport is definitely exploding the US, too, and has been for probably the last five years. I think the sector of growth is almost exclusively in the ultra arena, and within that, at the 100mi distance. It’s a nice, big round number and it blows the average person’s mind that a human can travel that far under his own power in less than a day. It has excellent “extreme” cachet to it, much like rock-climbing, mountaineering, extreme skiing, surfing, snowboarding, mountain biking, etc. does. In that sense, it is more marketable (easier to get sponsors) and it really catches the mainstream public’s eye. The mainstream public in the US is no more impressed by a 4:01 mile than a 4:59 mile. It’s all just a “four-minute” mile to them. Tell them, though, that you can run 100mi in one stretch and they go crazy. They don’t believe it. They’re impressed. The 100mi mountain race distance was invented in the US with Western States back in 1974, and it is amazing to think about that especially since mountain culture is so much more rich in Europe. However, from what I understand, the Euros really only got around to making a 100mi mountain race somewhere around 2000 or so (the first year of UTMB) and obviously they are quite taken with it as many others have sprung up and Salomon is definitely pushing Kilian in the direction of the Ultra-trail endeavors rather than the Skyraces so much anymore. (I think Reunion was established in 1992, though, so maybe the Euros were only 20 years or so behind us North Americans. Plus, I don’t really know the history of all the “Grand Raids”.) So yes, globally, I think things are moving in the direction of the 100K and 100mi distances, too. I personally love the 100mi mountain race distance–the sheer challenge, the primality of it–but I think Americans have gotten far too fixated on the distance and don’t have a good sense for the aesthetic of a given course. In America, if you run 100mi–no matter if it’s in flat loops, or convoluted out-and-backs–then it’s considered an awesome experience. I am very in tune with the landscape and I like running a line that makes sense geographically, i.e. where you tag the obvious summits in a loop or point-to-point traversing a range, or you circumnavigate a mountain, like UTMB. Every mountain course I’ve looked at over in Europe MAKES SENSE GEOGRAPHICALLY and I envy that. But, this brings up a HUGE point in the growth of the sport in the US. Our public lands here are highly restricted to organized events–nothing at all is allowed in Wilderness Areas or National Parks (often where the most aesthetic terrain is! )–and the National Forest Service can be quite stringent on permitting events in a National Forest, and when they do, they LIMIT THE NUMBER OF PARTICIPANTS DRASTICALLY. Western States or Hardrock could easily have 1000 or even 2000 competitors if the FS allowed it. The most obvious analogue to UTMB in the US would be to have a race on the 97mi Wonderland Trail which circumnavigates 14,400′ Mt. Rainier in Washington (http://vulcan.wr.usgs.gov/Imgs/Jpg/Rainier/Images/Rainier84_mount_rainier_and_tacoma_08-20-84_med.jpg) with over 20,000′ of vertical gain. BUT, it’s all in a National Park, never to be touched in an organized or competitive fashion. Same thing with the Grand Canyon and countless other natural areas in this country. It’s a tough trade-off: in Europe you can take a telepherique from 3000′ in Chamonix to 12,000′ on Mt. Blanc without moving a muscle. Cows graze high on alpine meadows. Refugios offer espresso and a mattress on the highest remote mountain passes. Are those travesties? Does that hurt the environment? Does that soil the beauty? OR, does it instead foster an indispensable greater sense of ownership, purpose, and appreciation amongst the general public, a culture of environmentalism born out of intimate experiences with the natural landscape? How can you value something and fight for it if you’re never allowed to experience it? It’s a tough question for me to answer for myself, as an ardent environmentalist. In any case, I’d love to see more true mountain races in the US of the 2-5hr length where there is a ton of vertical gain and loss on a logical course over real mountain terrain. They are still fantastic mountain challenges, but they don’t take all day (and night) to complete and they don’t take all month to recover from. I think it’s a little more civilized way to challenge oneself in the high country than constantly feeling the need to suffer for 30+ hours. Don’t get me wrong, I will always do a couple 100mi races each year and I love that distance, but I wish there were more truly technical and aesthetic “mid-distance” races like the European SkyMarathons to fill in the gaps here. Nearly everything is so flat and doesn’t make sense geographically. I hope to direct just such an event some time soon. This entry was posted in trail running, ultra, ultramarathon and tagged 100-milers, Anton Krupicka, European trail running, full transcript, Geoff Roes, interview, Kilian Jornet, New Balance, Salomon, US trail running, Western States. Bookmark the permalink. Speedgoat 50k, the first real 50k mountain race! Cheers to Tony K for wanting a big dance like this. It’s about time the US steps up and runs hard races. All elite runners who want in, will get in,AND earn prize money, another story to talk about. Why is there no prize money in Ultras, especially races like UTMB when 1 million bucks is earned in entry fees? As an absolutely non-elite runner, I’ve seen that running as part of a team, or running with a specific personal goal (like not missing a flight) can really juice up performance on race day. But for the top shelf ultra runners, clocking massive distance, pain, and personal commitment- yeah, what’s the motivation and reward at the front end? Especially when, like Speedgoat says, races taking massive entry cash still don’t acknowledge excellence other than by giving it a platform. Getting to the 2nd round in a tennis tournament pays out bigger than winning many of the most prestigious 100 mile races on the planet. How would it play out if Wimbledon withheld all prize money saying that players should just be happy to compete, for the love of the sport? And would we see skill of Federer and Djokovic and Nadal’s calibre if those kinds of ma$$ive rewards weren’t on offer to push the front end? It is great I found you! See us on skyrunningpoland.wordpress.com – I am introducing the idea in Poland.